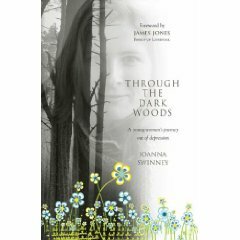 Through the Dark Woods by Joanna Swinney – It's Time to Read! This book is based on the author’s own experience of wrestling with depression, and her story carries the book along. Using this structure, she discusses the stigma associated with depression. She talks of the importance of correct diagnosis, and the challenges of day to day survival. She takes an honest look at the temptation to suicide, and how depression affects one’s prayer life and relationship to God. Where are the sources of comfort and healing? Jo Swinney considers biblical characters subject to depression, and argues for the importance of sharing stories. Finally she asks, what does her depression teach her? As someone who battles with depression I was given this book by a friend to help me, and I will certainly be passing it on to others, especially those who have never suffered with depression. This is a really useful book about depression, based around Swinney’s own experience. She is honest and writes in a fluid way which is easy to follow and understand. All the chapters are short and easily accessible. She explains depression and the different ways it can affect people, and she gives tips on how to cope and how to battle out of it. What I found most helpful was seeing how I feel in writing, but written by someone else. I will be passing this book so people can gain an insight into how I feel a lot of the time. I also liked how she recommened books, books on depression and fiction books! Swinney is a Christian, and she does talk about God and her depression, and some focus of the book is on relationship with God, but don’t let that put you off. There is no preaching and it is not overwhelming at all. As a Christian I found it useful, but not overbearing at all. This is a really useful book and I recommend it to everyone, people who have suffered and those who haven’t.